This will be the first of two posts that deal with some gaming that I’ve done lately. The first one is an American Civil War skirmish using a modified version of Iron Ivan’s “This Very Ground” rules for musket and Tomahawk skirmishing.So, we thought we would give them a try. Here are the results. 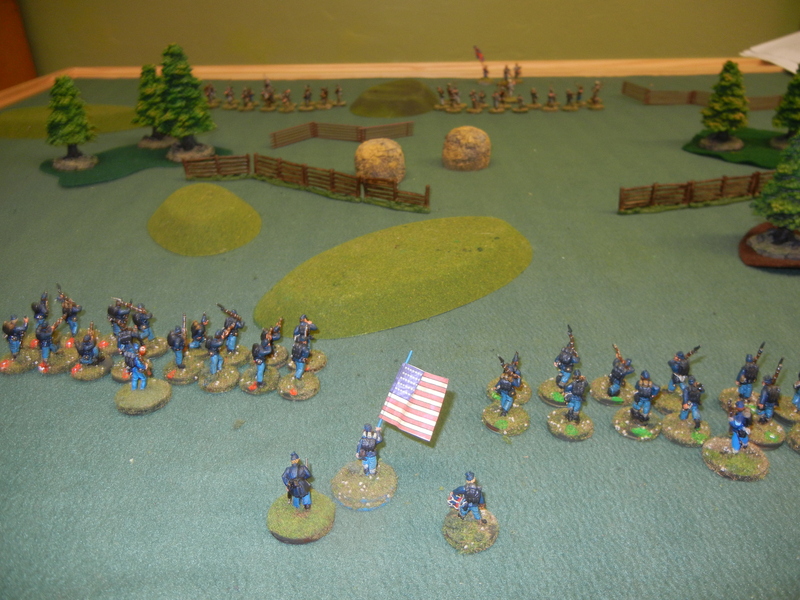 The Yanks and the Rebs approach each other. Elements of the 43rd Pennsylvania and the 12th Florida close. The 43rd was a green unit and therefore stayed in close order to maneuver about the field. 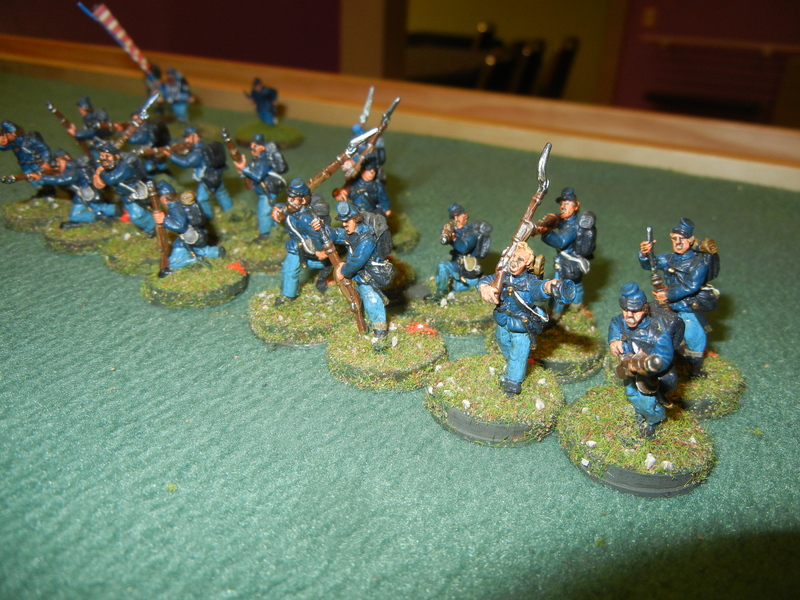 A closer look at the 43rd Pennsylvania as they approach the rebel unit. The NCOs are at the rear of the formations with the command group in the middle. The 12th Florida readies itself for action. Both sides fielded about 30+ figures for the game. 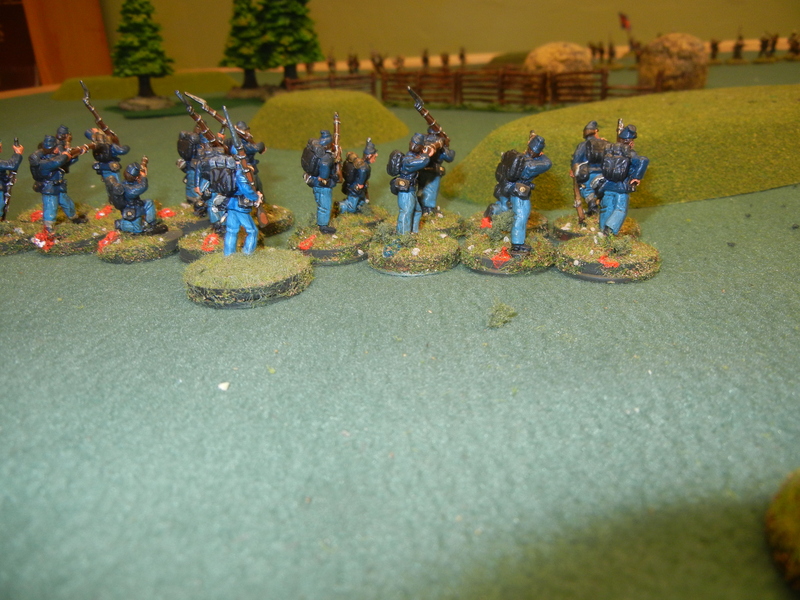 The 43rd Pennsylvania also advances forward. 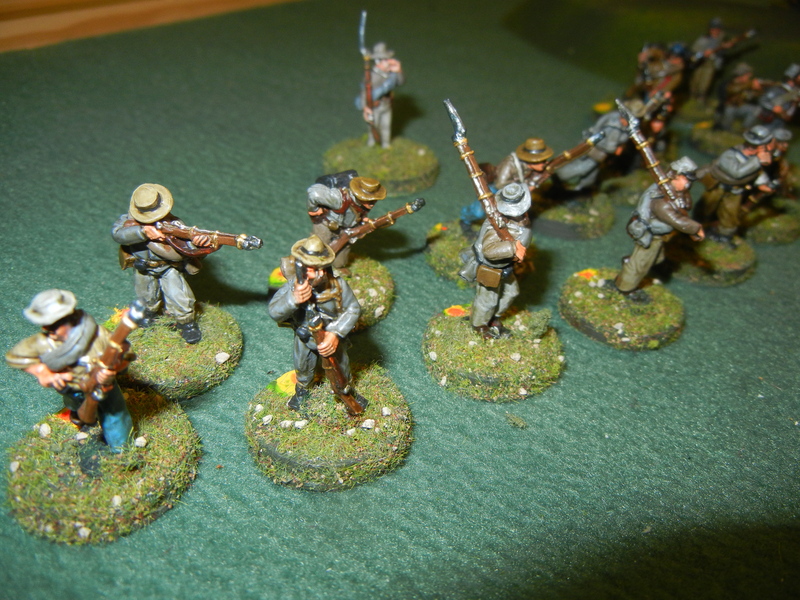 To set the record straight, most of these figures were painted by reinforcements by post. Another look at the table. The game was played at Gamesville Tabletop game store. It’s a great place. The union and Confederate forces close the distance. Soon the air will be filled with the whizzing sound of minie balls. “This Very Ground” is in my opinion a mechanically simple game but offers a lot of tactical options on the tabletop. An overhead view of the 43rd taking up positions around a small Hill. 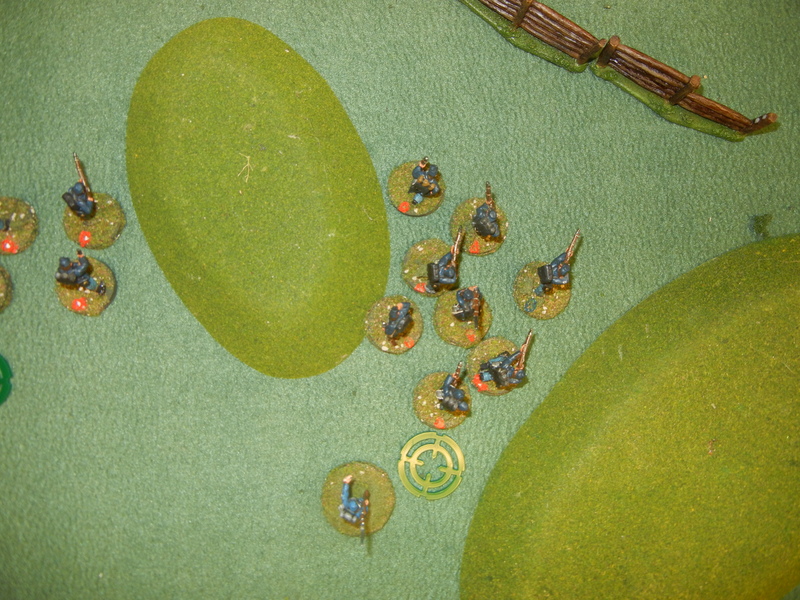 The plastic markers are activation markers to show that the unit has already moved or fired. 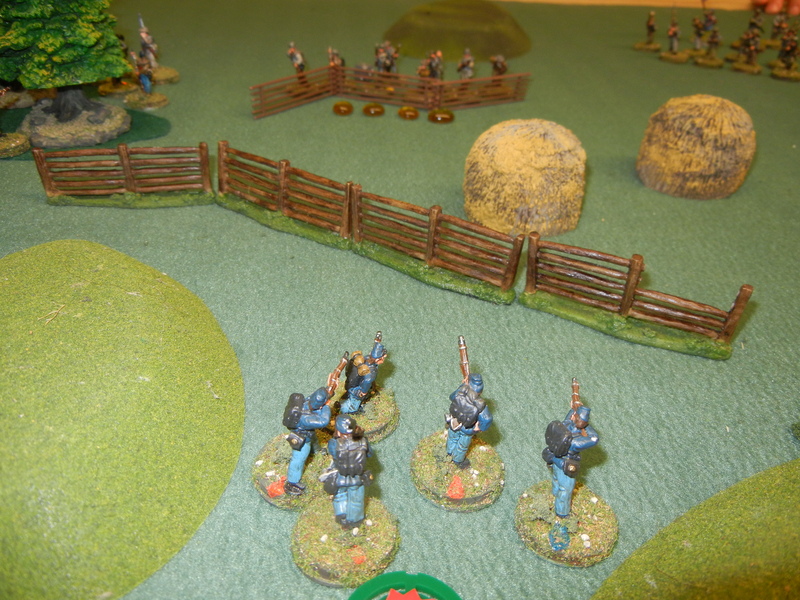 View from the Confederate lines as the 12th Florida prepares to take the fight to the enemy. By this time, the 43rd Pennsylvania had suffered a number of casualties. In fact far more than it had inflicted on the 12th Florida. As a side note every step of the combat is resolved with a 10 sided die. Now you’re going to need a number of them but it’s only one die type. The final push by the 43rd Pennsylvania but alas it was to no avail. The Bali’s of the 12th Florida drove them back and they retired from the field. All in all, this was a great game. 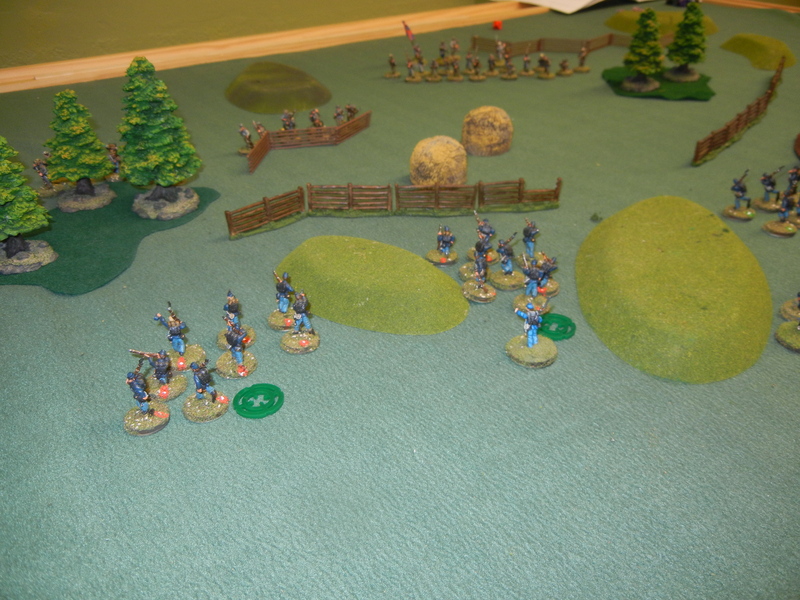 TBG works very well simulating company level ACW combat. The rules need a little more tweaking in terms of equipment more than anything else but overall everything works. So the battle is ended. Silence falls. The best part is though the miniature soldiers are returned to their box ready to fight again another time. The Lion Runs Rampant: My Review of Lion Rampant Wargames Rules.